Seed moisture content is an important aspect of seed quality. Determining a seed lot’s moisture content is essential for avoiding imbibitional injury and standardizing vigor tests. Seed moisture content is also a critical variable in many seed physiology and seedling development investigations. In transactions involving trade and movement of seeds within and across borders, one requirement is to accurately state a lot’s moisture content. 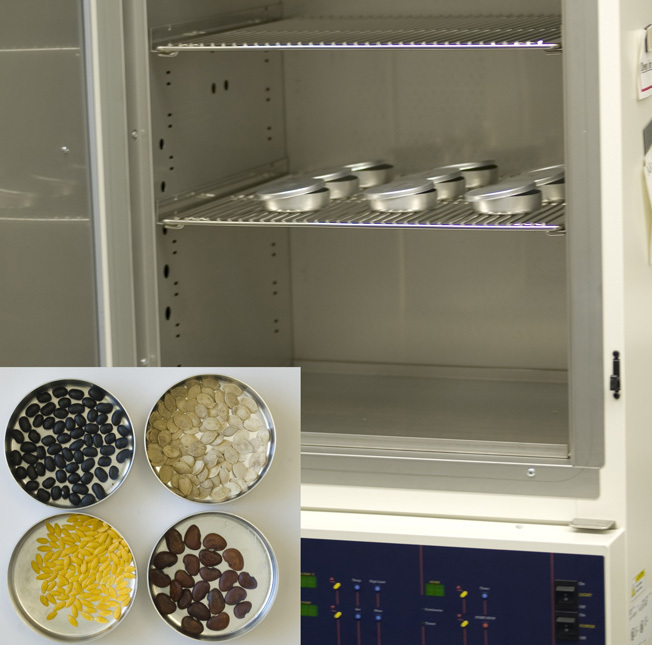 The California State Seed Laboratory has contributed to developing moisture testing protocols for more than 70 species, as part of seed testing rules. This ongoing project aims at developing quick and standard moisture determination methods for many more species. This project investigates the possibility of developing a universally applicable, objective, and practical vigor test. 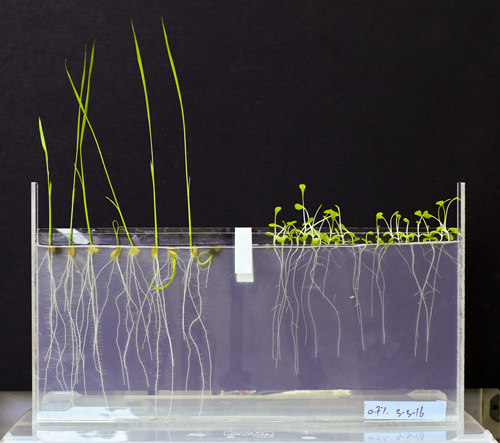 The test is based on the hypothesis that radicle growth during initial phases of seedling development is a reliable and universal indicator of seed vigor. The study has two specific objectives. The first is establishing a continuous and automated root monitoring and data collection system. The second is determining whether species of different plant families share basic root development characteristics indicative of seed vigor. In phase I of the study, radicle growth of high and low quality lots (induced through artificial aging) of selected species grown in agar at concentrations ranging from 0.4-1% will be quantified. Phase II involves developing standardized test parameters for several species, as well as establishing species-specific ranges of test values indicating low, medium and high seed vigor. 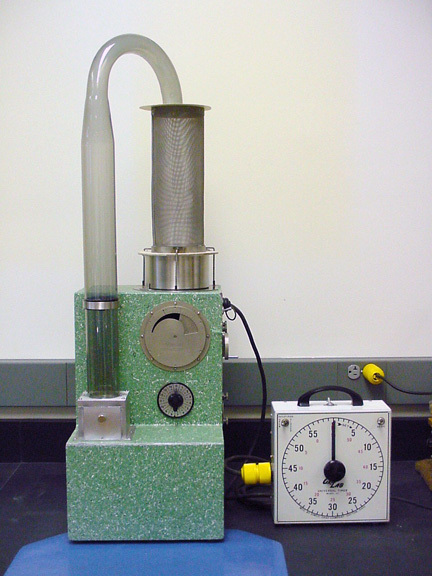 The seed quality assessment method known as the Uniform Blowing Procedure (UBP) employs a calibrated air steam within a General-type Seed Blower (top photo) to separate pure seed from inert matter. Previous studies indicate test results based on the UBP were less variable within and among laboratories than those based on manual separation methods. Test efficiency was also greatly improved with the UBP. 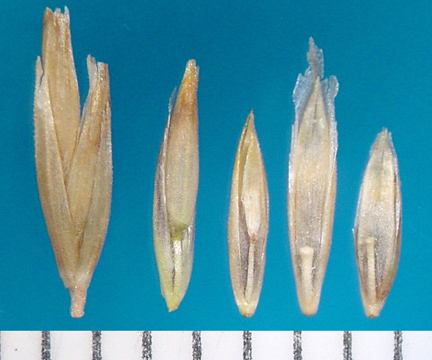 In the United States, the UBP is the standard purity testing procedure recognized by the Association of Official Seed Analysts (AOSA); but its used is limited to seven grass species. With increasing demands for faster sample turn-around time, ongoing projects seek to expand the use of this procedure to more grass species as well as other types of seed.